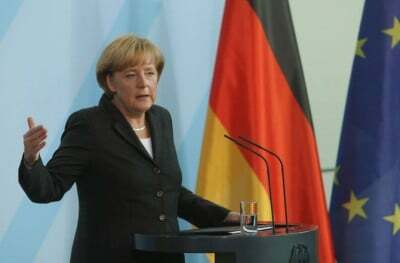 The mainstream media portrays the German chancellor as the guardian of western liberal democratic principles. Europeans are led to believe the German leader is following in the steps of enlightment thinkers such as Thomas Paine, Jefferson or her compatriot Wilhelm von Humboldt. And she’s certainly not carrying on the tyrannical tradition of former East German rulers like Walter Ulbright or Erich Honecker. Or is she? However after her official announcement to run for a fourth term as chancellor one must question where Germany’s so called “liberal democracy” is headed (1). Merkel faces ostensibly little opposition within her own CDU party. Furthermore Germany’s left is weak, fractured, and too caught in the debate over how compassionate the country can and ought to be regarding the on-going influx of migrants or refugees (both genuine and bogus, of which some of them have links to Islamic radical groups). Her grip on power is unchallenged. Merkel hasn’t officially designated any successors to her rule, but those tipped to follow in her reign are mostly “yes, men (and women)”, who come from her inner circle of advisors and powerbrokers. The only exception or “outsider” is the much younger Ms. Frauke Pefry leader of the AfD party. She heads, the far right anti-immigrant political grouping, whose members yet to be elected, most likely, in the 2017 may sit in the Bundestag for the fist time since the Second World War (2). With the election of Donald Trump to the US presidency this year, Ms. Merkel’s main humanitarian doctrine or guiding political principle, of “open borders” is under threat. As one leader has called for the building of a Wall to keep migrants out of America, the other persists with her purist and uncompromising “free-movement” policy of mass migration. Friction on this front policy front is immanent, if she is re-elected chancellor. Other ideological clashes between Trump and Merkel are bound to occur, such as what stance to adopt towards the Kremlin Leadership. However others se it, “Mutti” Merkel is a committed ideologue to the cause of non-impeded migration. This statement reflects her unflinching belief in the free movement of people no matter where they may come from, or regardless of their real motives to come to Germany. Such conviction on her part runs into direct contraction with the leadership views of other less powerful yet very outspoken nations. EU member states such as Hungary, Czech Republic, Austria, and France and of course after the Brexit the UK as well are deeply sceptical on the issue of unprotected borders. But the hang-over or fall-out from the deep recession which was caused by Berlin’s dictated austerity policies in southern Europe remain painfully evident to this day. Finally, the recent spat of terror attacks in Germany over the past year, and the shocking news of Islamist moles infiltrating German counter espionage networks (3), will undoubtedly undermine Merkel’s refugee policy and call into question Germany’s good will and generosity to foreigners and other newcomers. Merkel may have to tighten the reign of power in 2017, as a result. If she becomes chancellor for another term next year, then a “benign dictatorship” is almost assured.